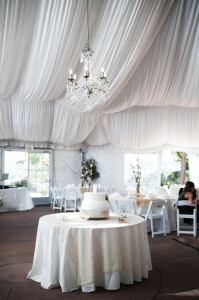 White Extension Cords are a perfect match for elegant wedding decor. When it comes to weddings, it’s all about the details. If the bride is wearing white, then orange or yellow extension cords running across the floor, through the tent canopy or into the decorations are definitely out of place. 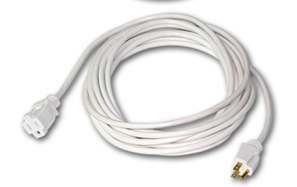 Our White 12 Gauge Extension Cord is available in 25 ft., 50 ft. and 100 ft. lengths. Our white extension cords from Century Wire work with the most meticulous decorations, getting power to where you need it without calling attention to themselves.